Ultrafast Science & Technology Spain (USTS) 2017 will be taking place between 22-24 November in Salamanca, Spain. The scope of this Meeting will cover topics including ultrafast laser development, extreme light, materials processing, femtosecond laser spectroscopy and dynamics, nonlinear optical phenomena, ultrafast processes in biology, femtosecond microscopy or attosecond physics. In partnership with USTS, Physical Chemistry Chemical Physics will be awarding €100 prizes for the best oral and poster presentations. The Advisory Committee – including PCCP Associate Editor Luis Bañares – will be in charge of the evaluation, taking into account the scientific quality of the work as well as presentation skills of the author. PCCP is pleased to support the 2018 Joint ICTP-IAEA School and Workshop on Fundamental Methods for Atomic, Molecular and Materials Properties in Plasma Environments which will be held on 16-20 April 2018, at the International Centre for Theoretical Physics (ICTP), Miramare, Trieste, Italy. The Abdus Salam International Centre for Theoretical Physics (ICTP) and the International Atomic Energy Agency (IAEA) will jointly organize this school and workshop on Fundamental Methods for Atomic, Molecular and Materials Properties in Plasma Environments. The one-week event at ICTP will provide training and information exchange for computational scientists working on models and data for atomic, molecular and materials processes relevant to fusion energy research, industrial plasmas, laser-produced plasmas, astrophysical plasmas, and warm and hot dense matter. The training is aimed at advanced PhD students, postdocs and other young researchers. The information exchange will span several disciplines from molecules to materials and from method developments to data treatments. Topics related to energetic events and electronically excited states are emphasized throughout the programme. The schedule features lectures by international experts, invited and contributed research talks, posters and discussion sessions, with ample time available for interaction and discussions. Physical Chemistry Chemical Physics is delighted to sponsor the prizes for the best posters at the meeting. Submit your abstract before 20 November 2017. 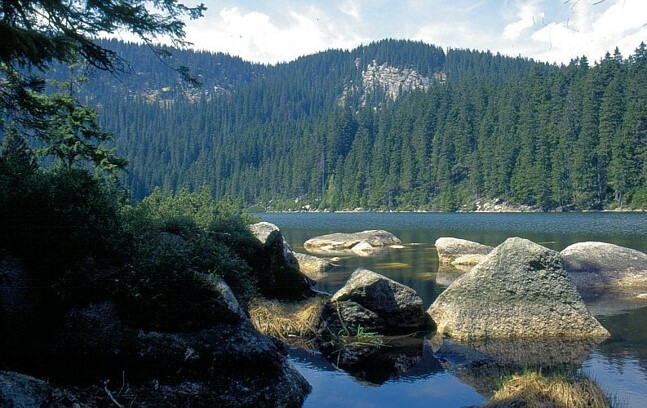 The 10th Liblice Conference on the Statistical Mechanics of Liquids will be taking place at the Šumava National Park in Srní, Czech Republic between the 17-22 June 2018. The deadline for registration and abstract submission is 17 December 2017. We are delighted to announce that the Physical Chemistry Chemical Physics (PCCP) themed collection on XUV/X-ray light and fast ions for ultrafast chemistry is now online and free to access until the end of November 2017. 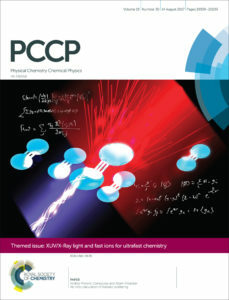 Guest Edited by Manuel Alcamí, Paola Bolognesi and Luis Bañares, in collaboration with the XLIC COST Action, this collection of articles showcases research on the understanding, monitoring and control of the complex ultrafast electronic and nuclear dynamics that occur in molecules when a large amount of energy is deposited via XUV/X-ray photon absorption or fast-ion collisions. 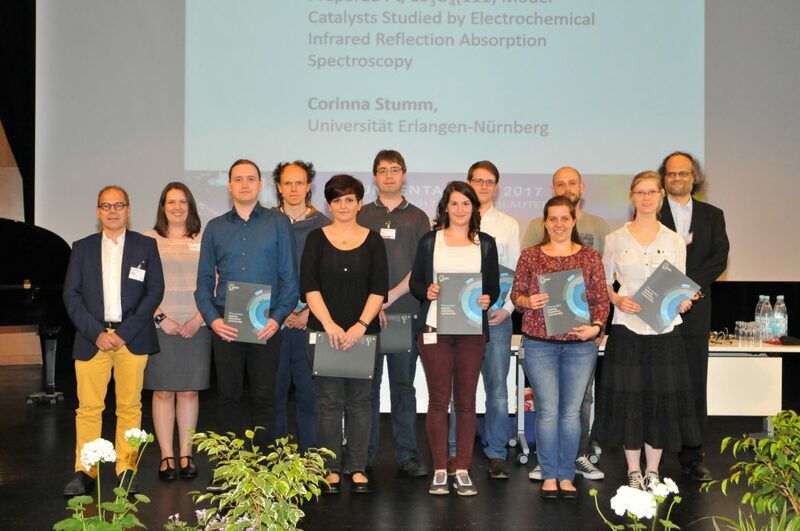 Physical Chemistry Chemical Physics would like to say a big congratulations to the winners of the poster prizes at this year’s European Conference on Physical Chemistry (ECPC-2017). PCCP sponsored two prizes at the conference and these were awarded to Natalia Esteves-López and Federico Dapiaggi. Congratulations to both! We are delighted to welcome Anna Krylov as our newest Physical Chemistry Chemical Physics Associate Editor. 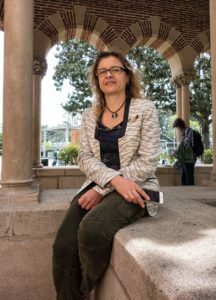 Anna Krylov is the Gabilan Distinguished Professor in Science and Engineering and a Professor of Chemistry at the University of Southern California working in the area of theoretical and computational quantum chemistry. Born in Donetsk, Ukraine, Krylov received her M.Sc. from Moscow State University and her Ph.D. from the Hebrew University of Jerusalem, where she worked on molecular dynamics in rare gas clusters and matrices under the supervision of Professor Benny Gerber. Upon completing her Ph.D., she joined the group of Prof. Martin Head-Gordon at the University of California, Berkeley as a postdoctoral research associate, where she became involved with electronic structure method development. In 1998, she joined the Department of Chemistry at USC. Professor Krylov’s research is focused on theoretical modeling of open-shell and electronically excited species. She develops robust black-box methods to describe complicated multi-configurational wave functions in single-reference formalisms, such as coupled-cluster and equation-of-motion approaches. She developed the spin-flip approach, which extends coupled-cluster and density functional methods to diradicals, triradicals, and bond-breaking. Krylov also develops many-body theories for describing metastable electronic states (resonances) and tools for spectroscopy modeling (including non-linear optical properties). Using the tools of computational chemistry, and in collaboration with experimental laboratories, Krylov investigates the role that radicals and electronically excited species play in combustion, gas- and condensed-phase chemistry, solar energy, bioimaging, and ionization-induced processes in biology. Professor Krylov’s research has been recognized by several awards including the Dirac medal from the World Association of Theoretical and Computational Chemists (WATOC), Theoretical Chemistry Award from the Physical Chemistry Division of the American Chemical Society, and Bessel Research Award from the Humboldt Foundation. She is a Fellow of the American Physical Society, the American Chemical Society, and the American Association for the Advancement of Science. Krylov is an elected member of the International Academy of Quantum Molecular Science and a Board Member of WATOC. Submit your best work in these areas to Anna now. This is your last chance to register to attend the upcoming Surface Enhanced Raman Scattering – SERS: Faraday Discussions (30 August – 1 September 2017, Glasgow, United Kingdom) as the final registration deadline is just a few days away. Be sure to register by 31 July 2017 to secure your place. For full details of speakers and conference themes, please visit the event web page here. 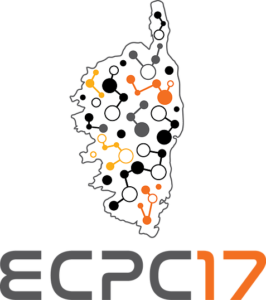 The 2nd European Conference on Physical Chemistry (ECPC-2017) will be held during September 24-27 2017 at Borgo, Corsica (France). The objective of this conference is to bring together researchers form countries all over Europe and keep abreast with the recent developments in this highly interdisciplinary field and will be of crucial importance for shaping the European scientific community. Physical Chemistry Chemical Physics (PCCP) is pleased to be supporting the event. Physical Chemistry Chemical Physics (PCCP) Advisory Board member Wolfgang Lubitz will be present at the conference as a plenary lecturer. Femtochemistry Conference (FEMTO13) will take place in Cancún, México between 12-17 August 2017. FEMTO13 will bring together scientists from all over the world to present and discuss the most recent advances in femtoscience, including reaction dynamics; solvation phenomena; dynamics at interfaces; dynamics in biological systems; attosecond electron dynamics; and strong-field science and control of laser matter interactions; with contributions from both theory and experiment. Physical Chemistry Chemical Physics (PCCP) will be supporting the event, contributing prizes for the best poster submissions, while PCCP Advisory Board member Dan Neumark will be present at FEMTO13 as an invited speaker. The 116th General Assembly of the German Bunsen Society for Physical Chemistry took place between 25-27 May 2017, at the Technische Universität Kaiserslautern in Germany.